Posted on October 31, 2015 by Michelle M.
Cooper and the flock wish you a Happy Halloween! 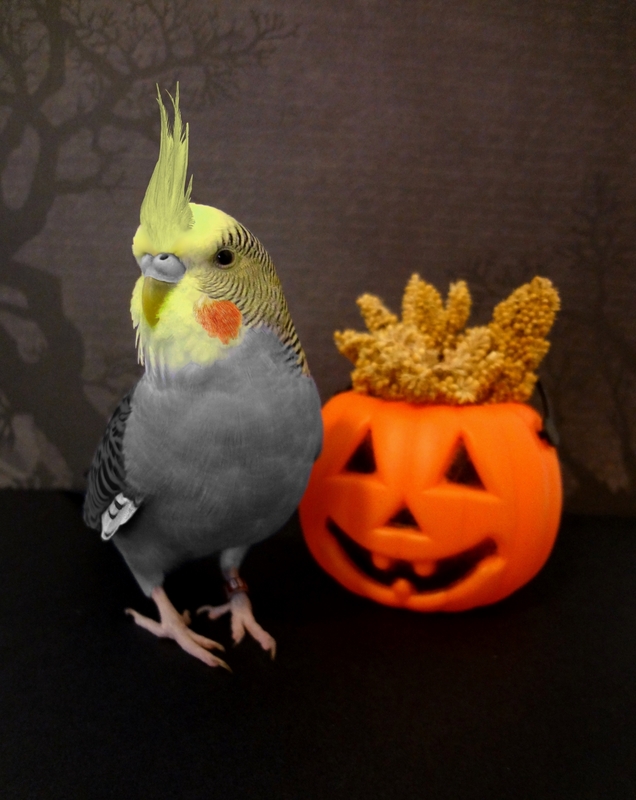 This entry was posted in Holiday Fun and tagged budgie, Budgie Halloween, Cooper, holiday fun, parakeet by Michelle M.. Bookmark the permalink. Ooo – had to look twice at this one – Great job – very subtle and clever! Great costume 😉 Did Sido dress up as a cooper? She makes a very pretty cockatiel, too.